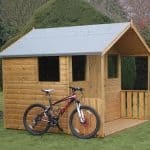 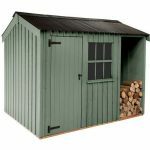 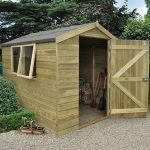 This very good looking apex garden shed is a perfect place to store your tools and equipment all year round. 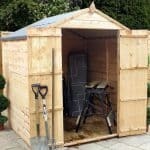 The apex roof brings additional headroom, and ensures you can add shelving or tall tools to the building without any issues. 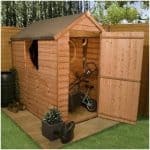 The overlap cladding ensures that you have plenty of protection against rain and water in general. 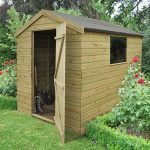 2 mm styrene glazing brings safer and more durable windows to your building. 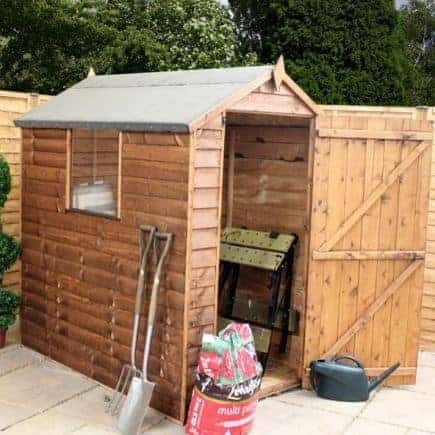 Solid sheet board is used for the floor and the roof of the building, which gives you a shed that is tough and can withstand heavy traffic and the elements.